An estimated 225 million people are living with communication and swallowing disorders – including cleft lip and palate – in the world’s low and middle income countries (LMICs). 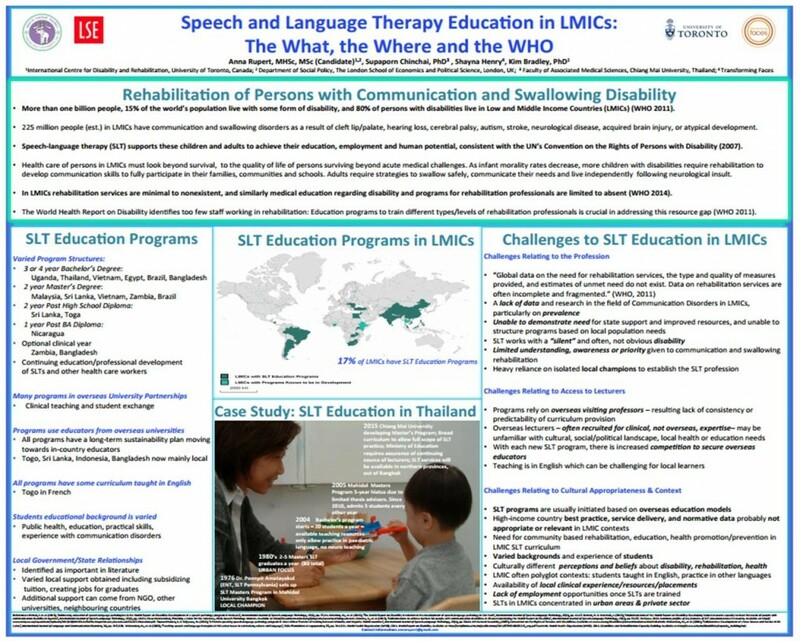 Despite a huge demand for speech and language therapy (SLT) services, only 17% of LMICs have programs to train SLT professionals. Transforming Faces seeks to address this gap through a Community of Practice project for speech therapists from LMICs. During the planning for this project, research was undertaken to identify existing SLT programs around the world. A research poster by Anna Rupert, Supaporn Chinchai, Shayna Henry and Kim Bradley was accepted for the 2015 conference of the Consortium of Universities for Global Health. 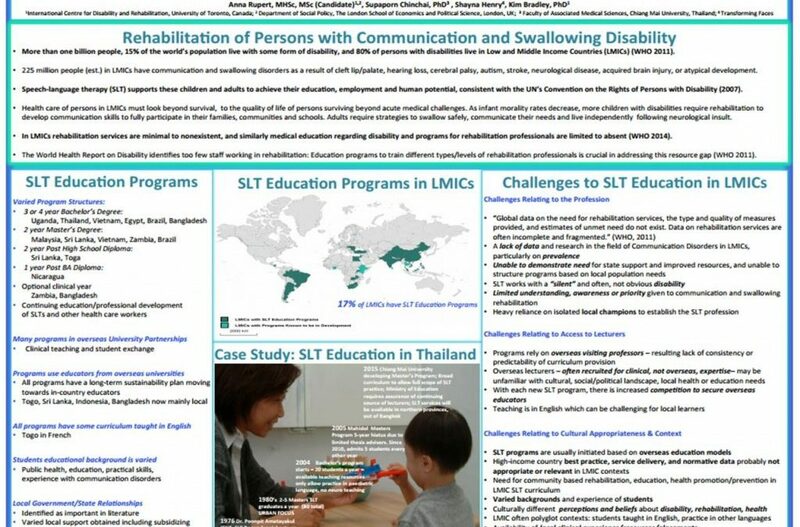 Click on the image below to see the poster and learn about key challenges facing SLT education around the world.